First published in 1931, this book contains Gertrude Stein's thoughts about the craft of writing. It is written in her usual experimental style, yet it is not difficult to understand, and even traditionalists will find that it has many things to say to them. Her experimental style includes such elements as disconnectedness, a love of refrain and rhyme, a search for rhythm and balance, a dislike of punctuation (especially the comma), a dismissal of the conventional significance of words, and a repetition of words and phrases. Her approach to writing is impossible to summarize, but many critics see a strain of American humor in her work, borne out immediately by some of the chapter titles: "Saving the Sentence," "Arthur a Grammar," "Regular Regularly in Narrative," and "Finally George a Vocabulary." 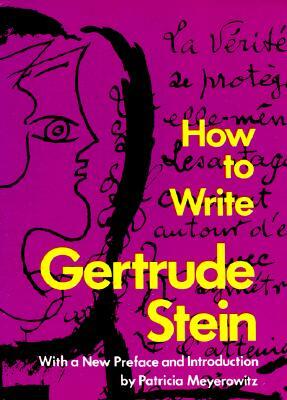 Readers who have not encountered Gertrude Stein or who have had difficulty with her other work will find this book useful as an entry into her writing. It is also in itself a unique, exhilarating experience.